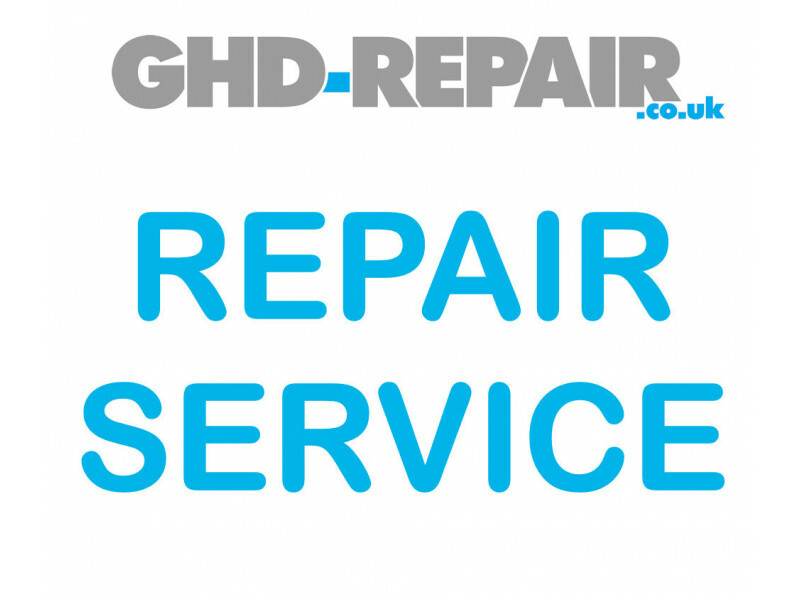 If you wish to send your Hair Straighteners away for repair then we can offer a complete hair straightener repair service for the GHD brand. The flat rate of £25.94 includes all electrical parts, plastic plate mounting parts, labour, packaging and UK return postage (i.e. UK return postage is not extra, as it is included in the £25.94 price!). Repair orders that are being returned to a European member country are charged an additional £15 for Royal Mail "International Tracked & Signed" postage. The only things that are not included is if a replacement arm or ceramic plate is required, for example if the hinge is broken or damage has been done by the customer during a failed attempt at repair. Replacement arms will be charged at £15 (we will contact you once we have inspected your GHDs and worked out what is required). Ceramic plates are charged at £15 each and are changed only if the customer has requested them to be changed. Other than that there are no hidden part costs. All genuine GHD models (including the Pre Mk3, GHD3, 3.1b, 3.3, SS (wide), SS2, MS, 4.0B, 4.1B, 4.2B, 4.2B, 4.3, SS4.0, MS4.0, Mk5, MS5, SS5, SC5 Contour etc) can be repaired, apart from the Mk6.0 Eclipse, MK7 Platinum and GHD Gold models (see photos above). 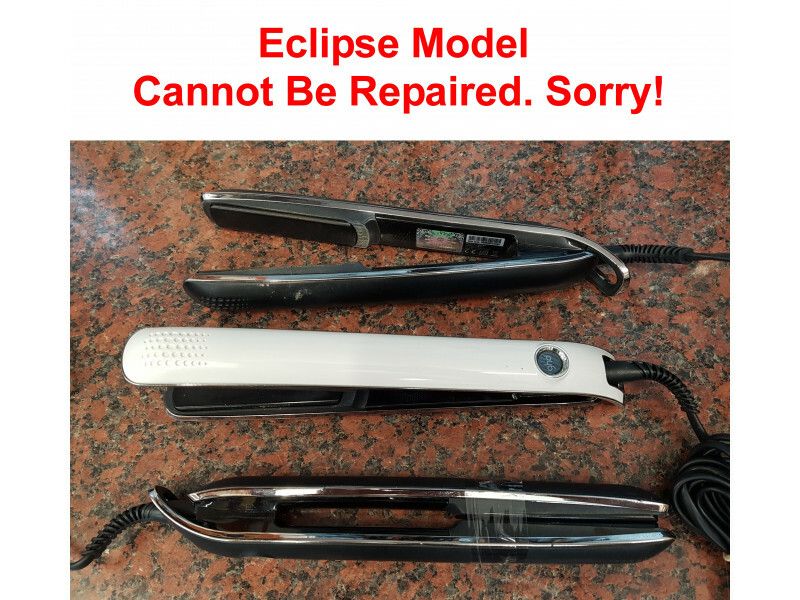 The Mk6 Eclipse, MK7 Platinum and GHD Gold models are not currently repairable by anyone and has been designed to be a throw away item unfortunately. The latest GHD Gold irons are also non repairable, not to be confused with the fully repairable older GHD MK5 Gold range of irons! All repair work comes with a 3 month return to us warranty against the same components failing again and includes a comprehensive PAT test. 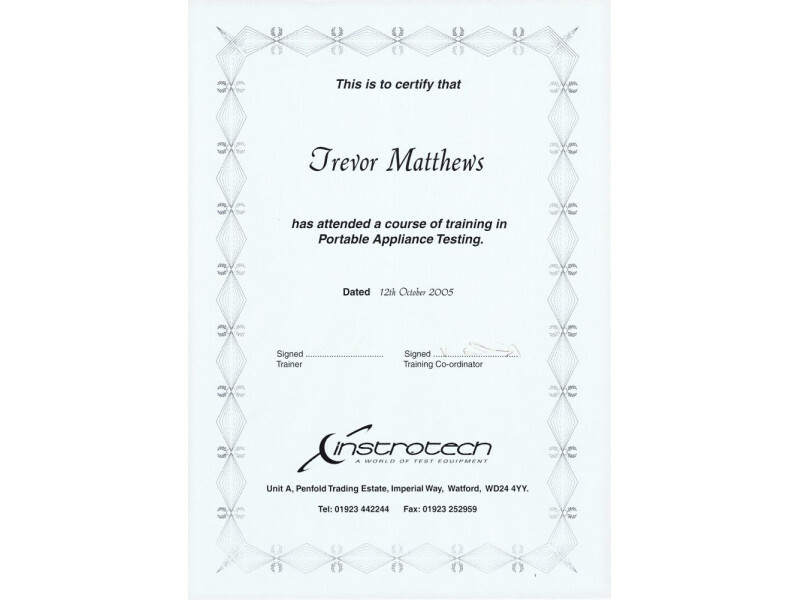 To see our PAT paperwork have a look at a the additional images - you will see Trevor's Certificate of training and calibration certificate. We aim to return 95% of all irons within 24 hours of receiving them. Your GHD's will be returned using the Royal Mail's 1st Class service with on-line delivery confirmation in the UK and International Tracked & Signed service in the EU. Purchase this item from our shop. You will then receive an order reference number via email. If the email does not appear within a few minutes of ordering, please check your spam folder or drop us an email. Pack your GHDs in a jiffy bag with some bubble wrap so that they don't get damaged in the post. Try to keep the plug away from the plates as the metal pins can easily damage the coating. Include a copy of your order number (a print out of your order confirmation email would be ideal) or print and complete this PDF form. Please see the bottom of this page for our packing guide video. Please do not send irons in their original (heavy) boxes/soft cases or with any accessories as these increase the cost of the postage and we are unable to return them without charging a little extra for the increased postage. We recommend you use a recorded postal service (Signed For or Special Delivery) to avoid your irons getting lost in the post. During the cold winter months your irons may be very cold when they are returned by the Royal Mail. Please allow them to warm up to room temperature before use. We replace R8/R11 MELF resistors in Mk4 and Mk5 irons by default, even if they don't look faulty, as we know these fail regularly. If your cable needs replacing we may need to replace it with a black cable (rather than a colour matching cable). Sadly not all different designs of cable are available in all colours. 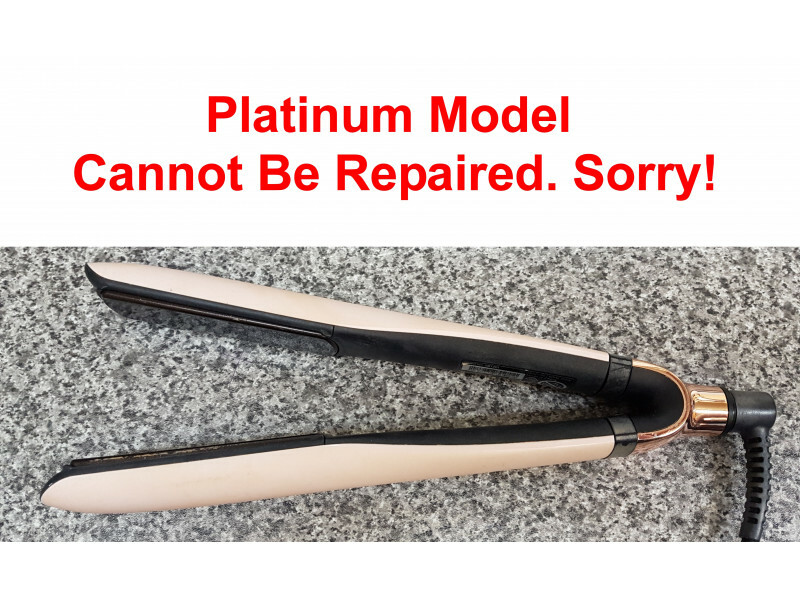 We are unable to repair the GHD Mk6.0 Eclipse, the GHD MK7 S8T261 Platinum or the latest GHD Gold irons. We have kept the cost of this repair service to the minimum possible which means unfortunately we are unable to accept discount codes on this item. In the unlikely event that your GHDs are beyond repair you will be refunded in full or you will be offered an alternative. Please do not send in non repairable models or fake GHDs - they cannot be repaired using this service and you will be charged for handling and return postage costs, currently £10 in the UK, £15 for EU countries. If you suspect that your GHDs could be fake then please contact us and we should be able to tell you. Or view our Guide to Fakes video HERE. How do I know you are genuine and will do a good job? We are a professional outfit who operate from a dedicated workshop. We don't do the repairs in the spare bedroom like some people advertising their services online! We have various ways for customers to post feedback on our services - via our forum, via TrustPilot or by adding reviews to products on our shop (check the reviews tab just below the product image above). All this feedback is unprompted from happy customers! Does your service include a PAT Test? Yes! Click on the Additional Images tab above to see copies of our training certificate. Your irons should be returned to you within 3-5 working days from the day you post them and often quicker. e.g. You send them to us via 1st class post on a Monday, we get them on Tuesday, repair and test them overnight, they are posted Wednesday morning so they are back with you on Thursday. Return postage for EU repairs may take longer. Yes - order the repair via our shop and you can choose to pay with Paypal. I'm not in the UK - can you send my GHDs back to an overseas address? We offer repairs to customers in all EU member countries. Shipping of £15 for return of the repaired irons will automatically be added to a repair service order for European return addresses. If you are in Spain or New Zealand/Australia please see our local sister websites that offer a similar repair service. Do you close for Christmas and the New Year? We are Closed on Christmas Day and Boxing Day only. If you have asked us to replace a broken arm as part of a repair, we'll ask you to purchase this ite.. If you have asked us to replace a damaged ceramic plate as part of a repair, we'll ask you to purc..